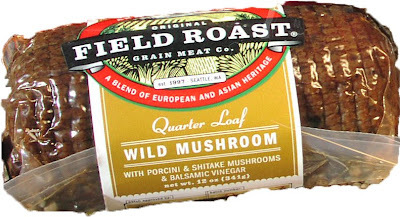 In the beginning, of Field Roast, there was a hunk of vegetarian meat. It was aptly and lovingly called chub, and was simmered in a kettle. At that time, in those beginning times, there were only a few hands making them. David developed three distinct flavors crafting them in the image of good food. They have to this day, all of the fresh ingredients he used in these early days. Garlic, Tomato Paste, Onions, Sage, Mushrooms, Red Wine, and Grains like wheat & barley, and Legumes too. Now we have gone through the harsh lands of the deli slice, and many of you may say…but I love those deli slices! But we have come to know the greatness of the chubby hunk of veggie meat that only Field Roast can make, that we have come to stand beside this forgotten loaf and reinvent it! We now peel the netting, making it easy to use. 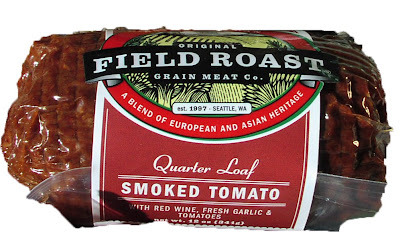 Now maybe you have noticed…our Quarter Loaves are 12oz…not really just Quarter Loaves, but 3/4 Loaves! These chubs bear no fat whatsoever, and can be used in so many ways, from chopped to sliced & ground. 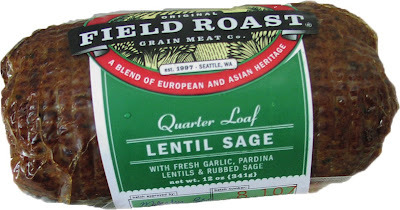 Besides, our grain meats are not fake, meatless or analog. They are meaty, and completely vegan…two things we insist are NOT mutually exclusive.